The world is continually becoming more and more advanced with each day that passes. The changes in technology facilitate security and offer it as a completely viable option. However, many people are often scared that bring home new devices will compromise their safety thus, they shun away from it all the more. So we did a research to bring you top 4 Open Source Home Automation Tools. Ever wanted to own a technological device that is an all in one package? One that will not only ensure you incur less cost as compared to when you choose to purchase these devices one by one? One that will consume less space in the house? Well look no more, with Domoticz, you have all that. This tool offers an extensive library of supported devices, which range from smoke detectors to weather stations to even remote controls and more. Its design being HTML 5 makes it not only accessible in most modern smartphones but also from desktop browsers. 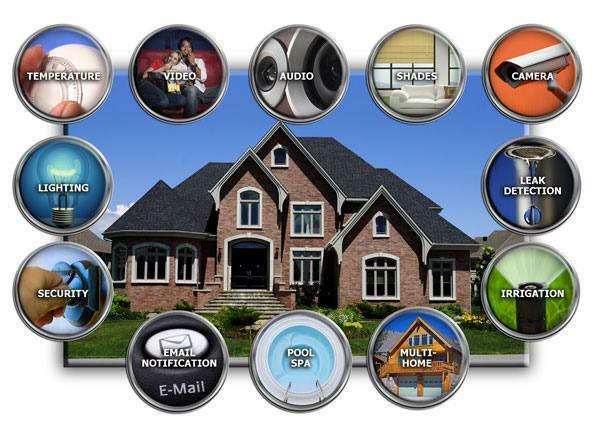 Open source offers a wide array of home automation tools whose primary aim is making your life easier and safer. Home Assistance is one of these automation tools, whose platform is designed to enable easy deployment on almost all machines that have Python 3. These include the Raspberry Pi to ships with Docker containers and network-attached storage devices among others. Home assistance can easily integrate with many open source automation tools and therefore, can be regarded as a commercial offering, which allows you to quickly link with other devices such as the weather information as well as to control hardware such as lights. Since 2016, this home automation tool has gained more ground since its first mention as the other option up for consideration on the list of open source. MisterHouse has been designed in a way that allows you to monitor just about anything that either a control or computer can query. Moreover, it has precedence over all things that can be controlled by a remote. Additionally, its design has enabled it to respond to a vast array of things such as voice commands, locations, the weather, the time of day as well as waking up or even turning on the lights among many other events. Have you ever desired an automation tool that has not only software but also hardware? Well, look no further as under the licenses of open source one can finding such a tool is easy. One such tool is OpenMotics, which is designed to offer a very comprehensive system for controlling devices. OpenMotics has made it effectively convenient for users instead of having them purchase many devices from the various producers in the industry as this would not only be hectic and tiresome but also time and money consuming. This tool, unlike many others, is designed mainly for easy retrofitting. Notably, these are not the only home automation tools available in the market, more so, in open source. Nevertheless, these are among the top automation tools in open source and therefore, ones to consider based on your needs and desires. Open your eyes and allow yourself the chance to be amazed. ← Winter is Coming..is your house ready?